The moment I received Christ as my Savior, God gave me eternal forgiveness. He has forgiven me of all my sins—past, present, and future. God is now my heavenly Father, and I am His beloved child. This wonderful relationship can never be broken, but my fellowship with my Father can be broken. When I sin, my fellowship with my Father is broken. In my heart I know that something has come between my Father and me. But I know what to do when I sin. 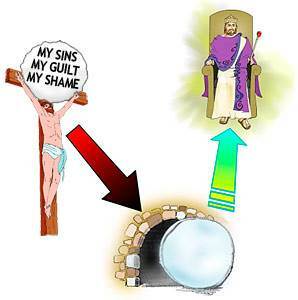 I go to my Father and confess that sin to Him. The moment I do this, the fellowship is restored. Because God loves me, He wants me to enjoy Him and enjoy being in His presence. For this, God must deal with the shame and guilt of sin. Suppose I accidentally ran over and killed the only son of a godly Christian man. He might forgive me, but I would always feel guilty and ashamed in his presence, knowing what I had done. God not only forgives me, but He clears me of my guilt and shame, so I can enjoy Him and He can enjoy me. 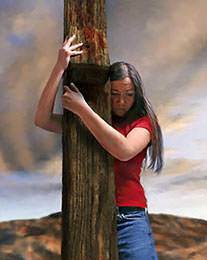 When Christ hung on the cross, He bore not only my sins but also my guilt, my shame, and everything that was against me. He died and was buried, but He rose from the grave on the third day. Christ rose from the grave in a glorious, new resurrection body. Where are my sins, my guilt, my shame, and all that was against me? They are gone forever! The Bible says that Christ “was delivered [to the cross] for our offenses, and was raised again for our justification” (Romans 4:25). “…through this Man [Jesus Christ] is preached unto you the forgiveness of sins: and by Him all that believe are justified from ALL THINGS…” (Acts 13:38-39). God is the great Judge of the universe. He is the One who justifies us. No one else could do this. It is God we have sinned against, and it is God alone who can justify us. 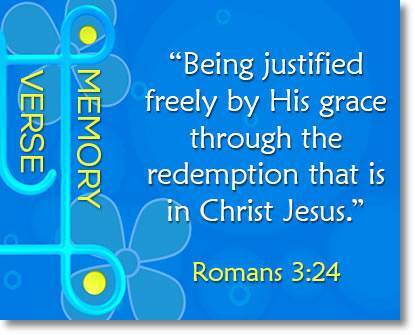 “Being justified freely by His grace through the redemption that is in Christ Jesus” (Romans 3:24). Notice the word “freely.” God justifies us “freely.” God loves to justify all who belong to His Son. 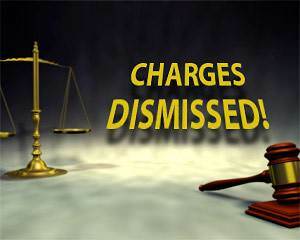 All charges against us are completely wiped out. All guilt is blotted out. No question about the believer’s sins will ever be raised by God. 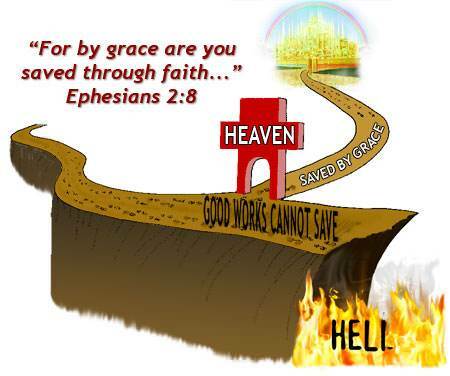 “For by grace are you saved through faith; and that not of yourselves: it is the gift of God: Not of works, lest any man should boast” (Ephesians 2:8-9). We are not justified because of our parents. It is a wonderful blessing to have godly parents, but this will not save you. Trusting in our good works to save us is actually hateful to God. It means that we are trying to save ourselves instead of resting our faith on the glorious work of God’s Son on the cross. “Therefore by the deeds of the law there shall no flesh [no one] be justified in His sight” (Romans 3:20). We are not justified by church membership or ordinances. Neither church membership, baptism, the Lord’s supper, nor any other ordinance can justify a person in God’s sight. God’s way of justifying sinners. “By Him [Jesus Christ] all who believe are justified from all things…” (Acts 13:39). God counts me righteous in His sight. Being justified means that God not only takes away all the negative things that were against me, but He counts me righteous in His sight because of my faith in Jesus Christ. “Abraham believed God, and it was counted to him for righteousness” (Romans 4:3). “To him that works not, but believes on Him [God] that justifies the ungodly, his faith is counted for righteousness” (Romans 4:5). Satan tries to make people think that God is a harsh Judge who hates sinners and wants to punish them. 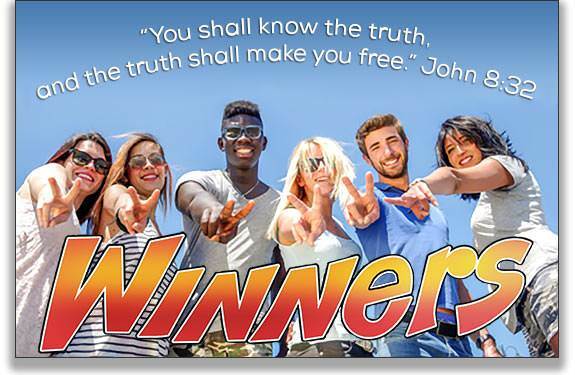 The truth is that God loves sinners! He hates sin, but He loves sinners. God has always loved sinners, but until our sins were dealt with in a way that glorified Him, God could not receive sinners and express His love for them. On the cross, Jesus glorified God with regard to our sins by bearing all of God’s wrath and judgment against sin. 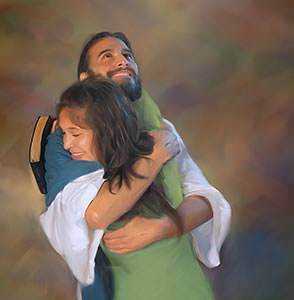 Now God can come out in all His love and take the repentant sinner in His arms and freely show His love for him. 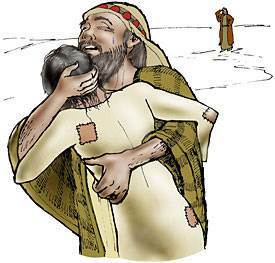 The story of the rebellious prodigal son shows us this. The rebellious son turned his back on his father and his home and left to do his own will. He was saying, “I will do what I want to do!” His self-will took him a great distance from his father. In the depths of his misery, the prodigal son began to think about how he had disgraced his father. He decided to go back home and ask his father to let him be one of his servants. God is a Savior God, and He glories in forgiveness. He glories in being able to justify us righteously because of Christ’s great work of redemption on the cross. “Let us therefore come boldly to the throne of grace, that we may obtain mercy, and find grace to help in time of need” (Hebrews 4:16). The Lord guided His people in their journey out of Egypt by a “pillar of a cloud” in the daytime and a “pillar of fire” at night. The cloud shaded them in the daytime, and the pillar of fire gave them light at night. 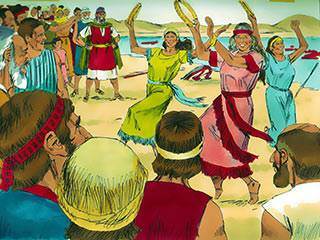 God guided them to a place by the Red Sea. There were mountains on two sides and the sea in front of them. Meanwhile Pharaoh decided that he wanted his slaves back. 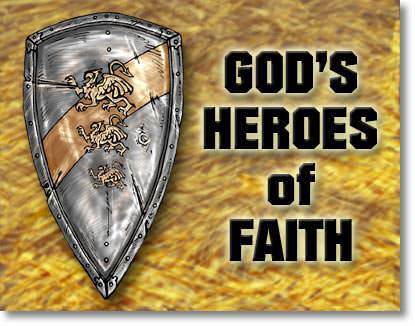 Pharaoh gathered all of his chariots and army, and marched after the children of Israel. 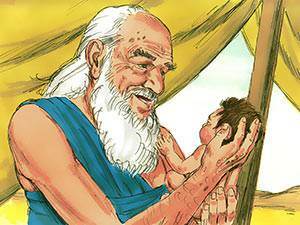 The children of Israel were terrified and they cried out to Moses. Moses said, “Fear not, stand still, and see the salvation of the Lord.” God told Moses to take his rod and stretch out his hand over the sea. When Moses did, the Lord caused the sea to divide into two walls of water with dry land between them. God took His people through a “place of death.” They had walls of water on either side of them. God brought them through a place of death into a new land. 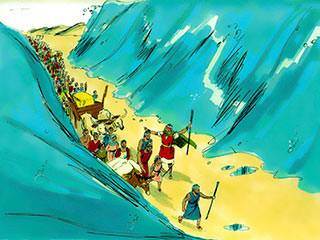 The Egyptians pursued them and went after them into the midst of the sea, with all of their chariots and army. The Lord told Moses, “Stretch out your hand over the sea, that the waters may come again.” The waters covered the chariots, the horsemen, and all the host of Pharaoh. Not a single person in Pharaoh’s army was left alive. “I will sing unto the Lord, for He has triumphed gloriously…the Lord is my strength and song and He has become my salvation…” (Exodus 15:1-2). All of this is a “picture” of God’s great salvation for us. In my unsaved condition, I was a slave of Satan in his kingdom. God brought me through “death” into His new creation—the kingdom of His dear Son. “Giving thanks unto the Father…who has delivered us from the power of darkness [Satan’s power], and has translated us into the kingdom of His dear Son” (Colossians 1:12-13). God is for us! It is a great day when we learn this. God has not only forgiven us, but He has defeated Satan and all his evil hosts. By the death of Christ, God has delivered us from Satan’s world-system.